LDN 483 is a dark cloud situated in the constellation of Serpens (The Snake). 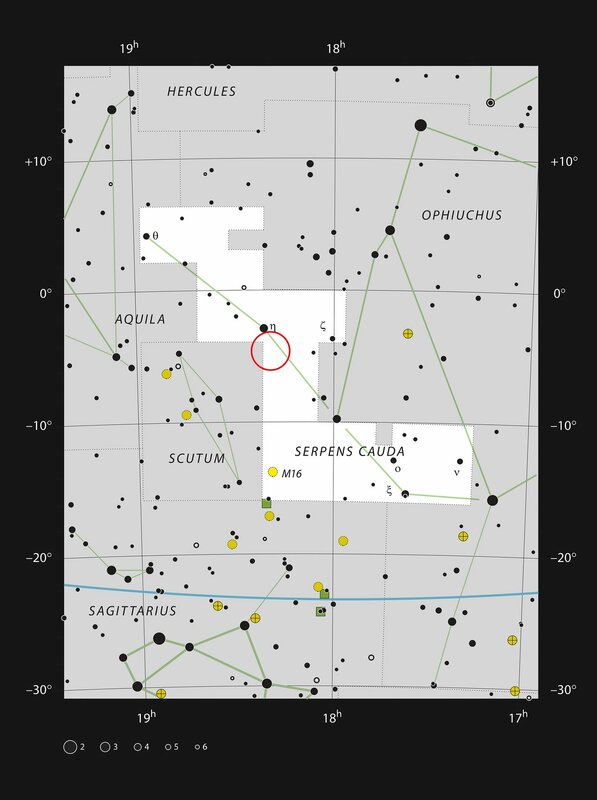 Serpens is the only constellation that is split into two parts and LDN 483 is in the tail of the snake,which is known as Serpens Cauda This chart shows the stars that can be seen with the naked eye on a dark night. The nebula is not noticeable through a telescope but can be readily photographed.